The Naz Legacy Foundation celebrated another year of exceptional work at its 6th annual reception held at the prestigious 20 Grosvenor Street KPMG offices in Mayfair, London. The evening saw a number of supporters and beneficiaries come together in support of the Foundation’s incredible work in promoting diversity, educational excellence and positive integration for young people throughout the UK, as championed by the late Naz Bokhari OBE, the UK’s first Muslim Head Teacher. The night also saw a number of key individuals recognised for their exceptional contributions to the mission and values of the Foundation. 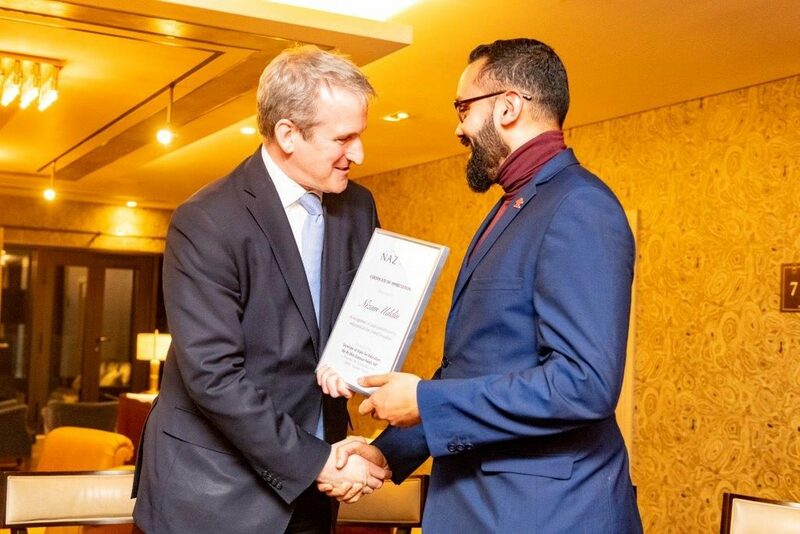 Amongst those was the Senior Head of Mosaic and Community Integration, Nizam Uddin, who was presented a certificate of recognition for his devoted contribution to education and social mobility in the United Kingdom by Guest of Honour The Secretary of State for Education The Rt. Hon. Damian Hinds MP. Others also recognised on the night included Sir Trevor Pears CMG who accepted an Honorary Fellowship for Outstanding Contribution to Excellence in Education across the UK, as well as Kanja Sesay from Greater London Authority for his contribution to integration across the United Kingdom. The Naz Legacy Foundation aims to promote excellence in education and positive integration into British Society through supporting key initiatives and charities within these sectors. In promoting the best in education and acting as ambassadors in the voluntary public service sector stands their belief in the ability to make a positive change in society leaving a legacy to benefit generations to come. (From left to right) Mosaic Chairman, Shabir Randeree CBE, The Secretary of State for Education The Rt. Hon. 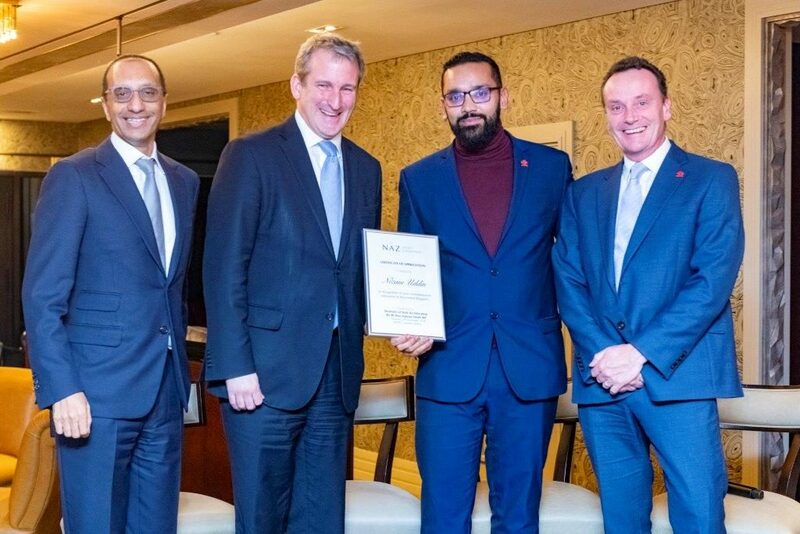 Damian Hinds MP, Senior Head of Mosaic, Nizam Uddin and Deputy CEO of The Prince’s Trust, Ian Jeffers.